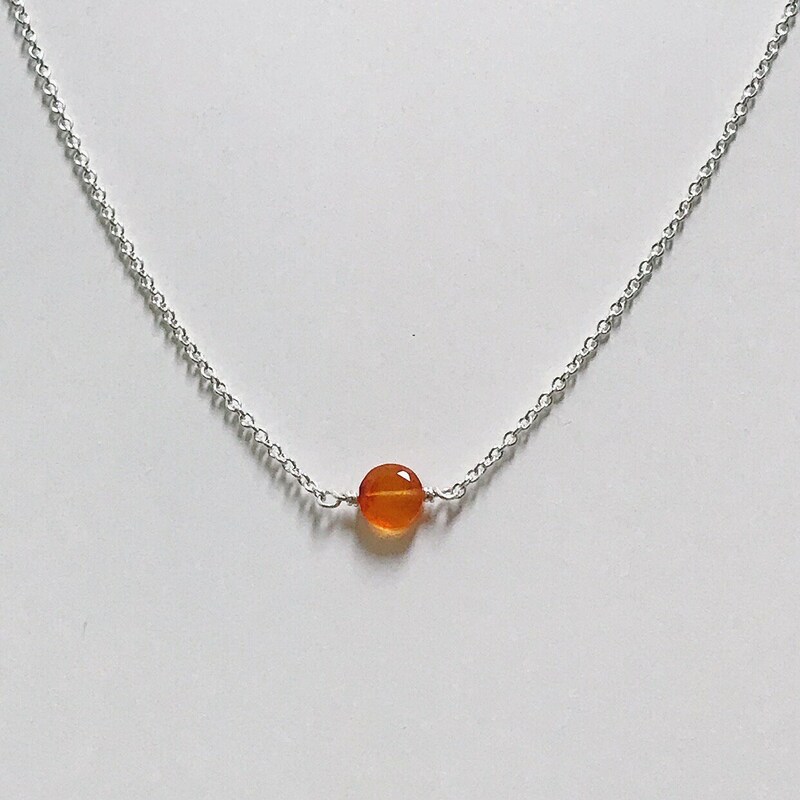 Carnelian bead hand wrapped with sterling silver wire. 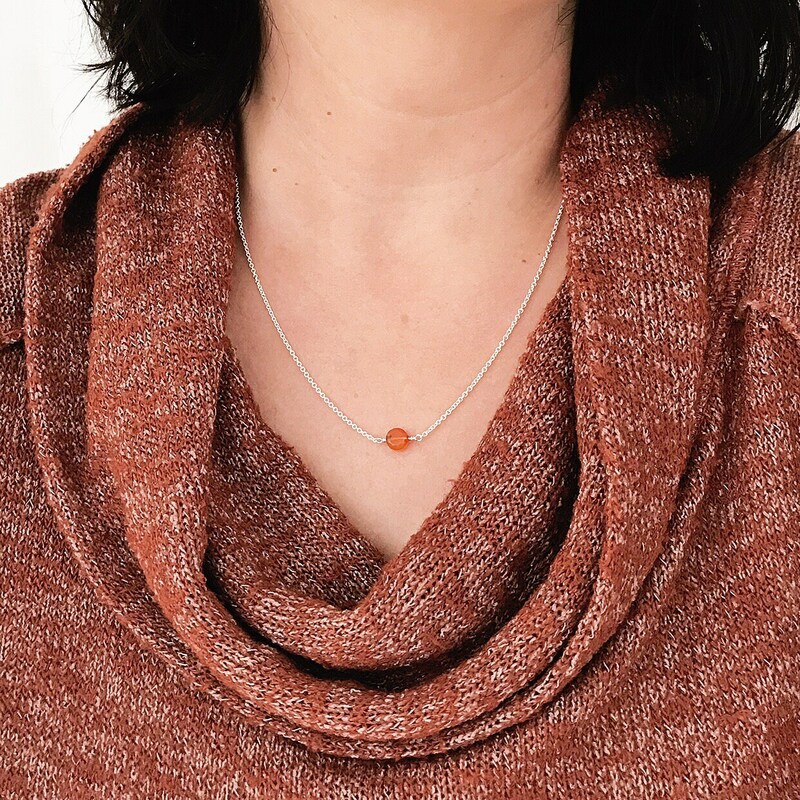 The faceted coin shaped bead measures 6.5mm. 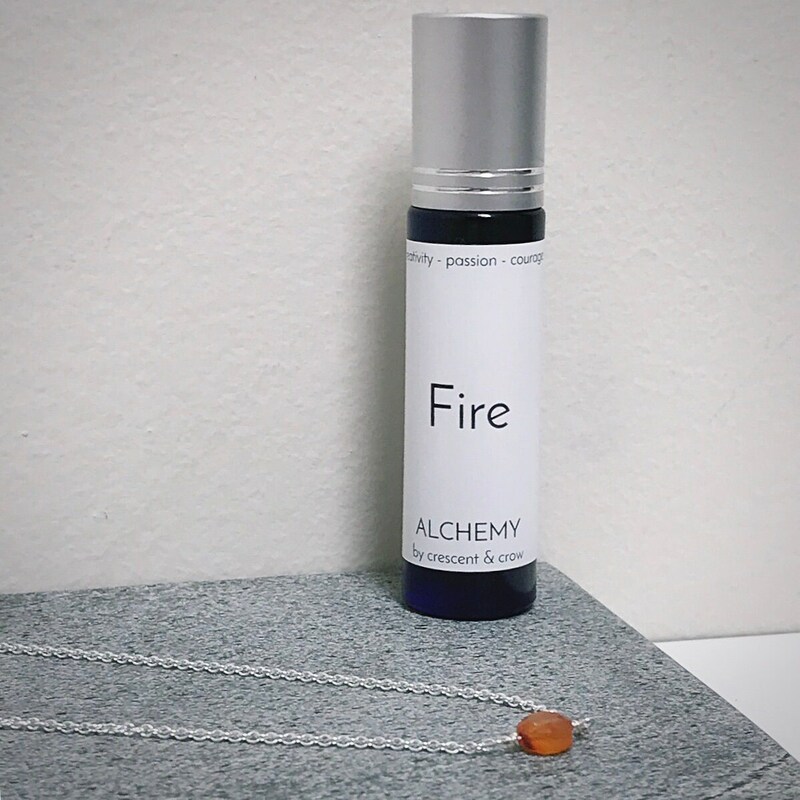 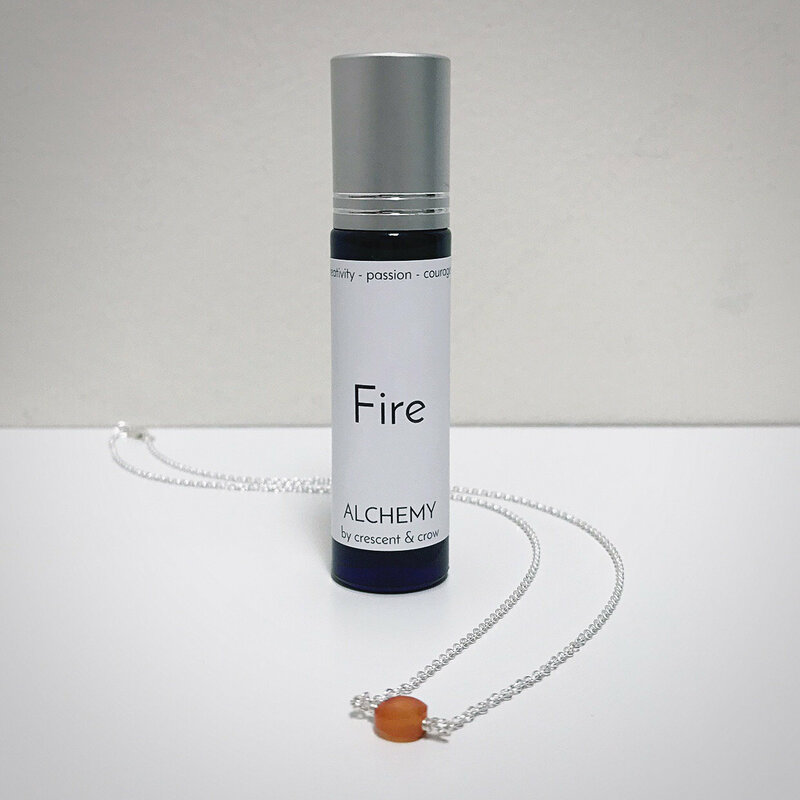 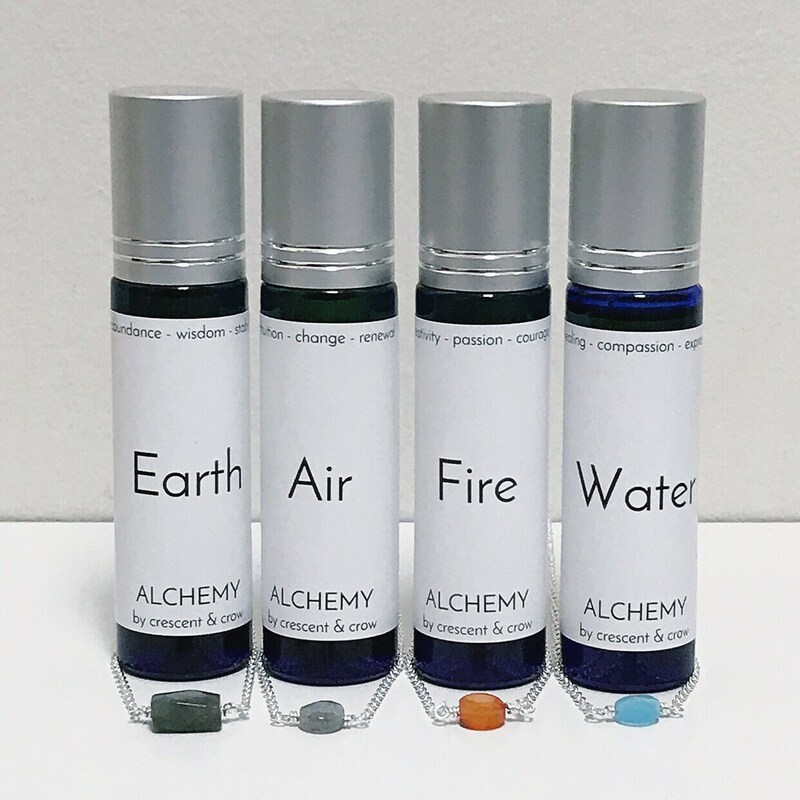 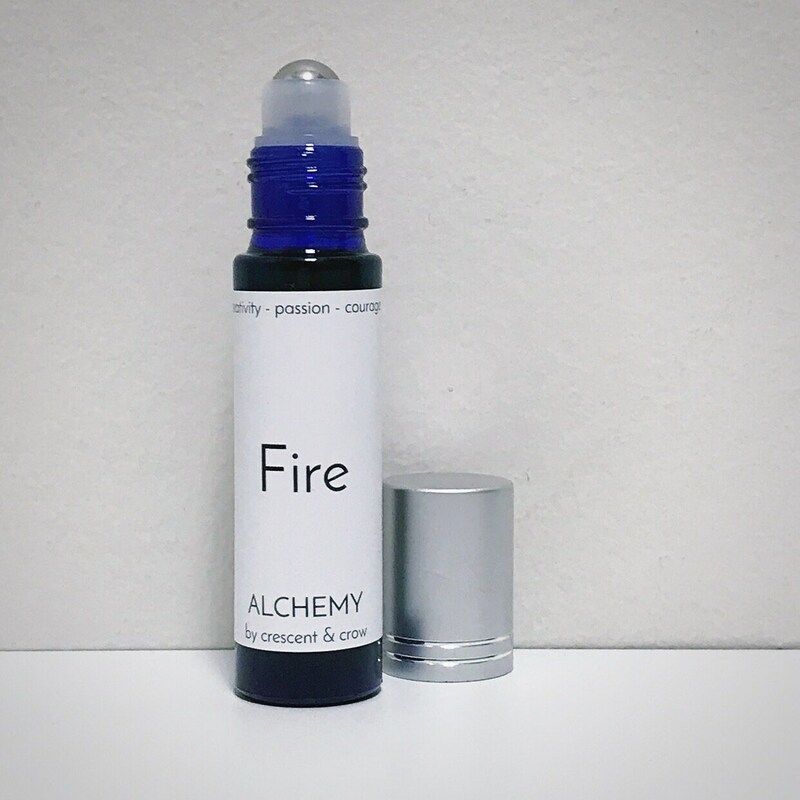 This set contains one carnelian necklace and one 10ml Fire roll-on oil blend, packaged together in a velvet pouch.